- Information-measuring systems and metrological supervision in electrical power engineering. Today, the Institute comprises 14 academic departments, where 4 Academicians and 6 Corresponding Members of NAS of Ukraine, 39 doctors, 91 candidates of sciences, and highly-qualified engineering and technical staff, conduct researches. The efforts of the Institute scientific staff are focused on further development of the basic researches of physical and technical issues in electrical engineering, and on solving pressing scientific and technical issues of the fuel and energy complex of Ukraine. More than 70 scientists of the Institute have been awarded with 23 National awards, 19 awards of the NAS of Ukraine, and 1 award of the International Association of Academies of Sciences (IAAS). Among the scientists of the Institute there are 6 Honored Workers of Science and Technology of Ukraine, and 2 Honored Inventors of Ukraine. More than 10 scientific officers of the Institute received awards of the President of Ukraine, Verkhovna Rada, and the NAS of Ukraine for young scientists. A high level of the Institute works is confirmed with 2600 inventors’ certificates and patents, including the foreign ones. The Institute has three specialized councils for the defense of theses of doctor and candidate of sciences in eight specialties, that correspond to the main areas of scientific research of the Institute. Over the years, the Institute publishes applied scientific journal "Tekhnichna Elektrodynamika" (Technical Electrodynamics) and the collection of "Works of the Institute of Electrodynamics of NAS of Ukraine", organizes and conducts International scientific and technical conferences "Problems of modern electrical engineering", and "Power Electronics and Energy Efficiency" jointly with leading technical universities of Ukraine. The Institute of Electrodynamics is fundamental for Scientific Council of NAS of Ukraine with a complex issue - "Scientific basis of power engineering", which coordinates the research activities of 23 scientific and educational institutions of the country in this direction. 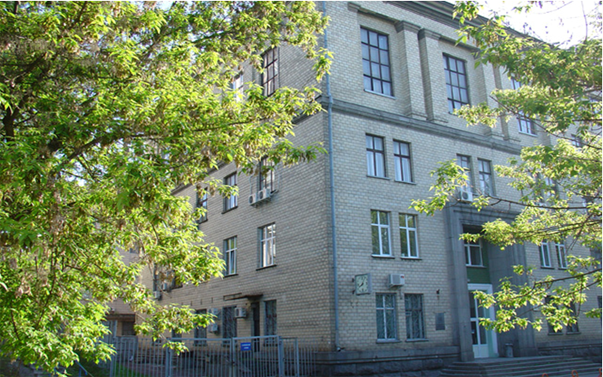 The Research departments of the Institute became the basis for the creation of new institutions of NAS of Ukraine: the Institute of Cybernetics, the Institute of Radio Engineering Problems, the Institute of Modelling Problems in Energetics, the General Energy Institute, the Institute of Renewable Energetics, and the Institute of Technical Problems of Magnetism (Kharkiv). A significant scientific potential and creative achievements of the Institute give all reasons to hope that its developments will significantly influence further growth of scientific researches and scientific and technological progress in many branches of the economy of our country.